Female residents of The Second City have a tremendous occupational opportunity, with earnings of up to $20,000 per year. The job: prostitution. This according to a recent paper by Professor Steve Levitt, the coauthor of Freakonomics. The paper details the economics of prostitution in Chicago. The author’s approach, along with his coauthor Sudhir A. Venkatesh, to the subject is as compelling and elucidative as his investigation into the economics of crack-cocaine dealers, which is covered in the extraordinarily interesting book Freakonomics. Fifty years ago “Atlas Shrugged” was published. “Atlas Shrugged” is the story the most able and creative people in the world withdrawing from society and refusing to be exploited by looters and governments that benefit from their talents yet condemn them for their success. Dagny Taggart is the main character, through which we see the actions of a mysterious man bent on stopping the motor of the world. The novel did not receive critical praise when published. Written by a surgeon, this book is a collection of essays about medicine and much more. 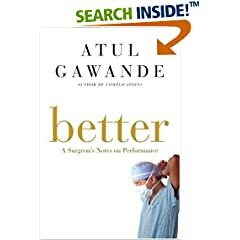 Dr. Gawande is a staff member of Brigham and Women’s Hospital, graduate of Stanford, Oxford, and Harvard. The essays are seamless and extraordinarily easy to read, even when explaining complex issues. The overarching theme of he book is the importance of attention to the details and the profound effects that can have on performance. A theme that transcends medicine. The book is World War Z. The story is about how the human race almost came to meet its demise. If Tom Clancy were to do a book about zombies, it would be much like this. This book, however, was penned by the son of Mel Brooks, the man behind Spaceballs–and the heritage is sometimes apparent. 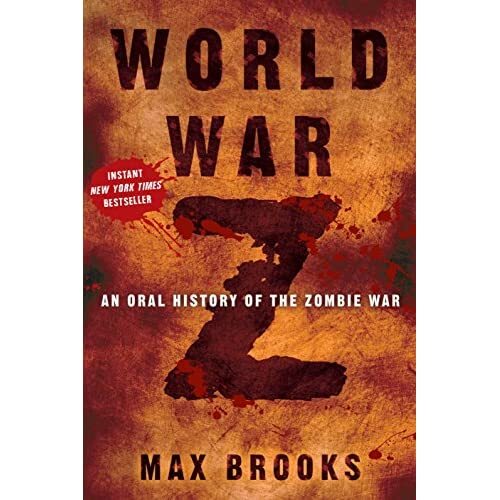 The book is set in the near future and is written by a man who had spent a great deal of time interviewing various people about their experiences during the ten years of World War Z, during which the world is almost overrun by zombies. The book is written as a first-person narrative, with the author retelling stories he collected from various characters from around the world. There is enough in the book for fans of horror, but the zombies are more of a vehicle for the author to tell a compelling story of geopolitics, military tactics, and human emotion. A great deal of the book is dedicated to the reactions of various nations, inter alia, the United States, China, Russia, Israel, South Africa, Cuba, Pakistan, and India. The undead infection originates in China, which results in a mass exodus of refugees and hordes of undead streaming across Asia. Russia is forced to decimate its own military forces to restore order. (Note: this is the correct use of decimate, i.e., the killing of every tenth person as used by the Romans to quell mutinous legions). Israel quarantines itself and becomes a place for refugees. South Africa comes up with a plan to combat the zombies, which is similar to the plan devised to protect whites during apartheid. The United States battles the zombies at the Rocky Mountains. These are some of the best battle sequences. The author makes a number of social commentaries. Criticizing the fixed thinking of the military, and their planning that concentrates almost exclusively on defense of the Fulda Gap, territory separating East and West Germany thought to be the primary battleground of the Cold War. In the book POTUS is clearly modeled on General Colin L. Powell, USA (Ret.) and the VP is Dr. Howard B. Dean III, though neither is identified by name. The use of fear by the media plays an extensive role in the book. Overall this is an entertaining and exciting read. Zombies, killing, world war, a sensationalist media: who could ask for anything more?